During my time living in New York, I took up residence in all 6 boroughs (New Jersey). The Bronx was the final borough, and the scariest for me to move into. The reason I was scared is because I didn’t know much about it, and didn’t know a lot of people who admitted to living there. What intrigued me most was the cheap rent, large spaces often found in the pre-war buildings, and the fact the neighborhoods most resemble ones found in Los Angeles. Now before you pick up and move there I must warn you that it’s all about who you know. 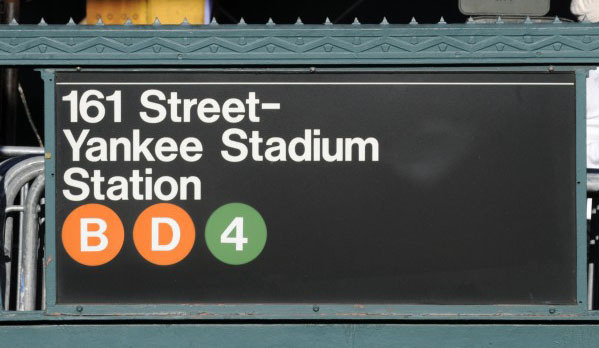 As I mentioned before, most people claim “New York” without mentioning The Bronx specifically so it’s difficult for a transplant to come in and make real estate connections. Additionally, the longtime residents in all boroughs want to keep the wall of fear up to keep out gentrification, and tourist. That train of thought is understandable; look at whats taking place in Brooklyn where the rent is averaging higher than Manhattan. My 900 sqft studio cost me $781 a month. Aside from the occasional “ginormous” NYC monster bug crawling in every now and then, I absolutely adorned my apartment. Who remembers by post on NYC exterminators?! One thing I can say about living anywhere in New York, if you want to live the dream you also have to accept the nightmare, loll. My apartment was on the Grand Concourse off 161st located near two grocery stores, Yankee Stadium, and a $22 cab ride from Times Square. I had a real prize living there and felt real anxiety in making the decision to give it up and move back to California. Last weekend I visited The Bronx for the first time since April 2014. I posted on social media that the single thing I miss the most is the coffee. The Bronx has the best coffee in the world bka United States. 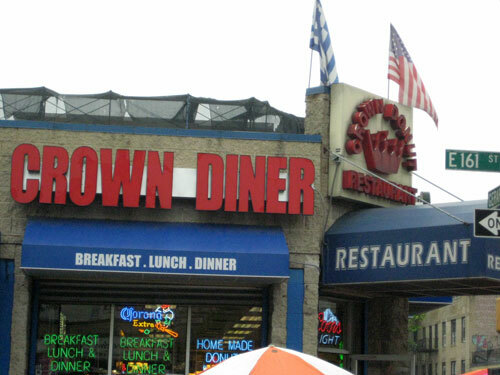 My favorite location to get “le cafe hood” is Crown Diner off Gerard Ave & 161st. A large coffee is $1.75, enough said! 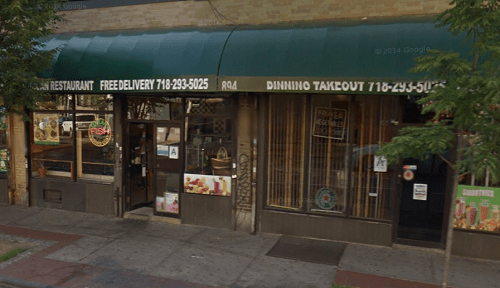 During my visit, I b-lined to this neighborhood mainstay and indulged until my heart’s content. I am sure it is some sort of local brand they use… it very well could be Folgers coffee. Regardless of brand it’s the way they make it and the heart and soul that makes it so special. One Bronx cup of coffee keeps me buzzing all day. 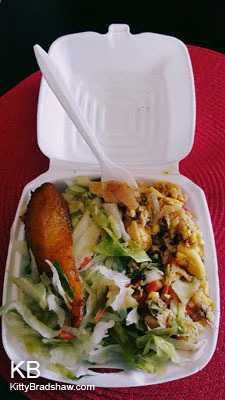 Keeping everything on the same street, Gerard Avenue also has one of my favorite locations to get Ackee & Saltfish with dumplings. The Feeding Tree Jamaican restaurant is where you could find me on many Saturday mornings picking up breakfast and ginger beer. Or just before a snow storm getting a batch of fish cakes. I picture it in my mind like a scene from a movie. For some reason whenever there was a pending snow storm, I always stopped in to get an order of those fish cakes as it helped to ease the anxiety of being snowed in. 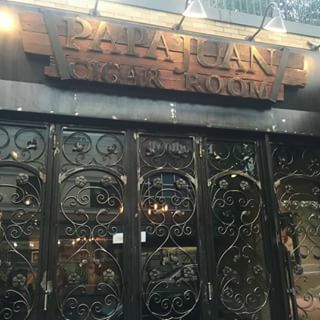 Papa Juan Cigar Room, complete with new owners and new renovations also sits on Gerard Avenue. During my recent visit to my favorite borough, my best friend Mike and I stopped in for my first cigar experience. What promoted this spontaneous experience was a documentary on Cuba during my plane ride there. During the film it talked about how Cuban cigars give you a slight buzz. 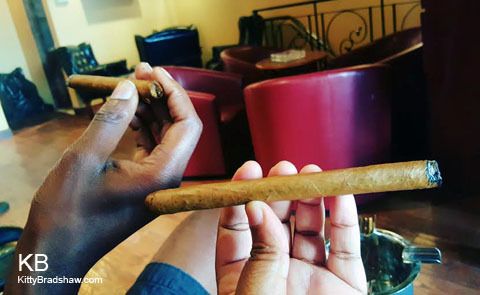 Being the resident pothead that I am; I was oh too curious as to what type of buzz that could be achieved through smoking cigars. 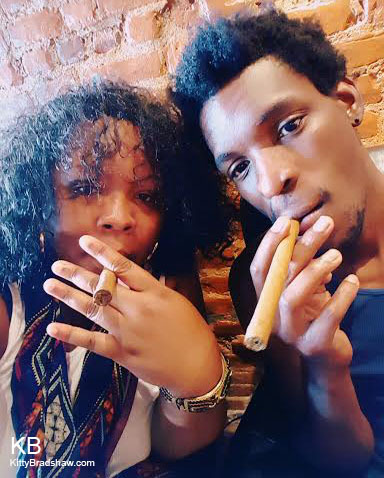 Ok so it wasn’t the same buzz as “kush”, but I definitely felt the vibrations which totally relaxed us as we reclined in the leather chairs and caught up on lost time between Mike and I.
I spent a total of 5 days in New York and my time in The Bronx was the most memorable. It is not just a borough it is a way of life that can’t be duplicated or explained through blog post. Gerard Avenue is a small piece of the magic that exist in my heart. I do miss it very much and love it as much as I love L.A. I love the Bronx and don’t get there are much as I should. It is a borough that has a lot of magic, heart, and culture. 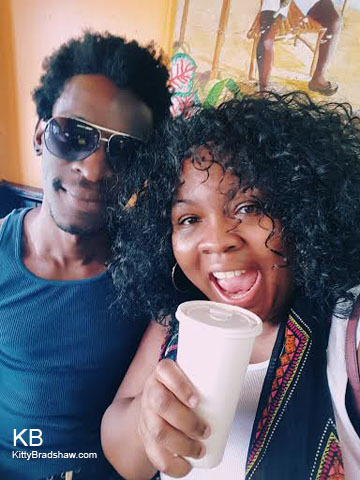 Thanks for sharing new places to enjoy…I am feenin’ for some Jamaican food! Gentrification has hit the Bronx hard. 60% of the persons moving into the Bronx are whites. 40% are from Westchester county and the other 20% are from various places. Many are moving to the South Bronx to live in lofts and to be close to Manhattan a 20 minute ride to midtown. While the ones moving to the North Bronx are buying homes that have yards, are not attached and property taxes are low. Bronx life is really does have its own beauty. I live in East Harlem, just a few blocks away from South Bronx, and every now and then I make my way up there. Always cool with the shopping and mom & pop shops up there!